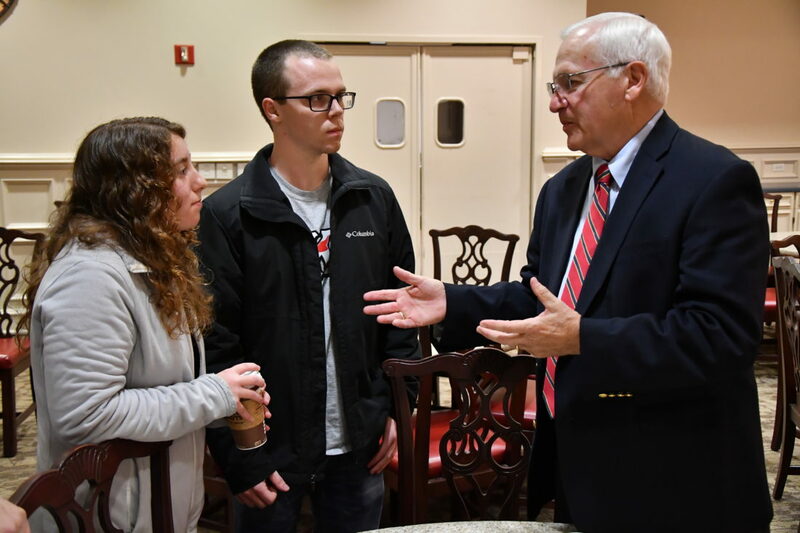 MARK NANCE/Sun-Gazette Lycoming College junior Alexandra Rozzi, of Stroudsburg, and senior Jacob Quasius, of Byram, New Jersey, speak with state Sen. Gene Yaw, R-Loyalsock Township, during his visit to the Energy and the Future series at Lycoming College Wednesday. The natural gas industry has been critical to the state and likely will continue to be a major driver of its overall economy, according to a local lawmaker. “I don’t see how we can survive without it,” state Sen. Gene Yaw, R-Loyalsock Township said. However, Yaw said the industry must continue to move forward. Speaking at Lycoming College Wednesday night to an audience of students, industry officials and concerned citizens, he noted that too many homes still don’t have access to natural gas and more pipelines are needed to get it to market. Yaw, chairman of the Senate Environmental Resources and Energy Committee, addressed how the industry has evolved during the past 10 years. Fewer rigs are in existence since the height of the industry in 2010-11, but it now takes less time to drill a well thanks to improved technology. But the state is still the second largest producer of natural gas behind Texas. Yaw noted that Panda Power plants using natural gas for energy production in Montgomery, Hummels Wharf and east of Towanda have been built in recent years. In addition, the shale cracker plant in western Pennsylvania is well under construction. The Beaver County operation will use natural gas to create ethylene, which is used in plastics manufacturing. “That could be a game changer,” he said. Yaw noted that the impact fee has resulted in $1.2 billion in revenues for the state since it was imposed in 2012. 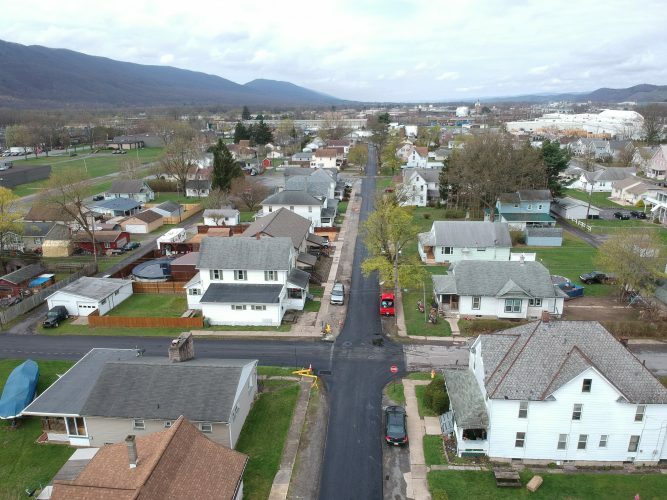 Twenty percent of that total, or $240 million, has come to his senatorial district, which includes Lycoming, Bradford and Susquehanna counties, some of the heaviest gas-producing areas of the state. “It (natural gas) has been a huge benefit to rural Pennsylvania,” he said. Yaw said a gas severance tax based on production is certainly worth consideration. Still, he said the state needs to create an even better climate that takes advantage of its natural gas and other energy resources. One area resident raised concerns about the gas industry posing a threat to ecological biodiversity by clearing away forest lands for drilling operations. Yaw responded that improved methods of extracting gas have begun to address that concern. “We need to be respectful of the environment, but we need to be practical of what we do,” he said. Yaw’s talk was part of the college’s Center for Energy and the Future Speaker Series.